One of the most important factors in personal financial management is transparency. But, many people believe financial products and services are anything but transparent. That’s why Clarity Money was founded, in order to develop truly transparent solutions to wasteful spending, limited savings, and complex budgeting practices. Through the power of artificial intelligence, Clarity Money incorporates natural language processing, anomaly detection, and spectral analysis to help its over 1.5 million users save money. Even if you already know all the basics of budgeting, you might be overlooking minor areas for monetary savings that Clarity Money’s algorithm is designed to pinpoint and eliminate. Here are a few reasons why you might want to download this free app. The problem with easy access to subscription services nowadays is that it’s easy to forget just how many services we currently subscribe to! In fact, you might be paying for a service you haven’t used in months, but it’s hard to notice these little expenses if only a few dollars per month are mysteriously vanishing. Fortunately, Clarity Money has developed a way for you to see all services you currently subscribe to and the app offers recommendations on which ones you might want to cancel. You might be paying for Hulu without really watching many TV shows. Or, maybe you’re paying for a gym membership you only use once per month or paying for a foodie subscription box that disappears into the pantry. Luckily, there are many different ways to reduce your ongoing subscription expenses. You just need to cut out the wasteful spending to save more money for things you care about. The Clarity Money app has a variety of helpful features including a “payday countdown,” personalized recommendations to credit cards, helping you cancel unwanted subscriptions, and tracking users’ recurring expenses month over month. Like other financial apps and resources, Clarity Money has a simplified platform for users to track their expenses. Once you sync up your bank accounts and credit cards with the Clarity Money app, you’ll be able to view how much money you have available, how much debt you currently have, which merchants you spend money with most frequently, and so much more. The app truly offers a great snapshot of your financial situation in weekly, monthly, and yearly increments so you can determine which expense categories should be trimmed and which categories you’re consistently staying under budget for. Want to hold yourself more accountable when it comes to your savings goals? 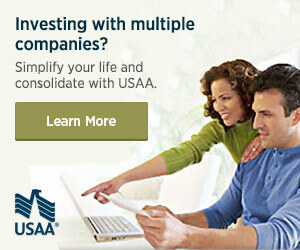 If so, then opening a Clarity Money savings account and setting up auto-deposits into this account is an ideal strategy. The funds are FDIC-insured up to $250,000. Plus, the auto-savings feature is offered free-of-charge to existing Clarity Money users who have their bank accounts synced with the Clarity Money app. The Clarity Money App has a savings account through Marcus by Goldman Sachs and offers a 2.05% APY and helps users save money towards specific goals through automated deposits. The accountability factor is also advantageous for folks who simply want to stick to their savings goals. A regular savings account with a traditional banking institution won’t hold you accountable as the Clarity Money app does. Should You Download the Clarity Money App? There are several personal finance apps and AI-driven financial services entering the playing field these days. But, there are no one-size-fits-all solutions to personal financial management. If you value transparency, cost savings, and personal accountability when it comes to your own financial situation, then Clarity Money could be the answer to your problems. Clarity Money gives users personalized credit card recommendations, which can help them find a credit card with the features that best fit their needs. What about you? Have you tried Clarity Money? What do you think?